It hardly seems possible that this 96 page book can contain such a variety of techniques, styles, exercises and examples! 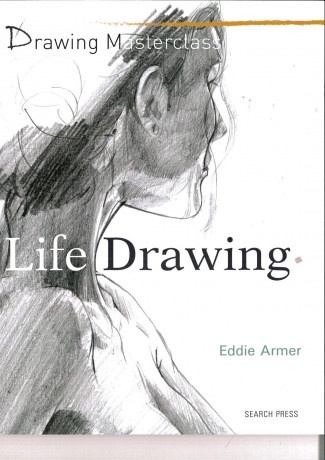 In the introduction, Eddie tells us that, "Results may be loose and spontaneous, tight and considered or maybe abstracted, depending on the day, my mood and the model!" and this is certainly the case here. Such variety inevitably means that each section is covered very quickly, but it also means that it's not laboured. As this is a Masterclass, this is something to be celebrated, and experienced readers will find that there is so much visual stimulation that it's impossible not to be inspired at virtually every turn. 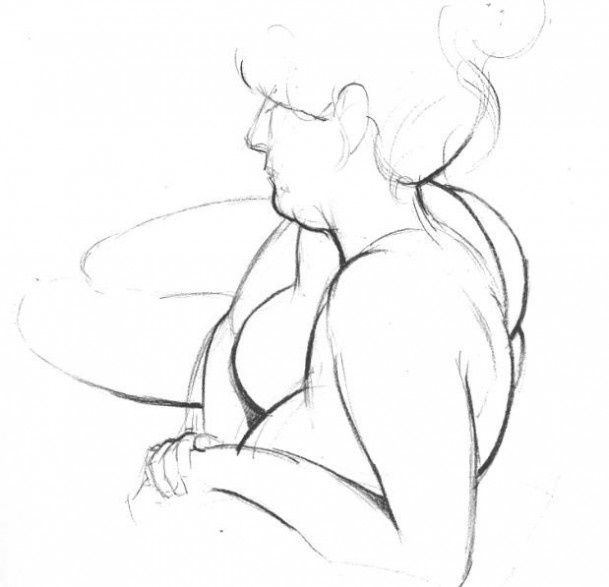 Eddie works in pencil, ballpoint, wax crayon and charcoal and in both fine lines and blocks of tone to create images that capture the character and shape of the sitter in as few strokes as possible.